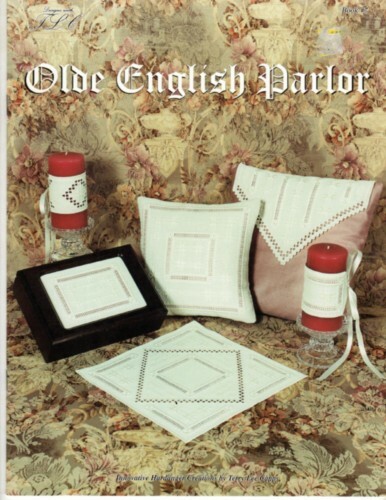 Designs with TLC Olde English Parlor hardanger pattern leaflet. Terry Lee Capps. Television Remote control cover, Square Pillow, Table Centerpiece, Envelope Pillow, Candle Jacket.